Jamie Cat Callan: Bonjour, Norman Rockwell! It was a rainy day here in Stockbridge. 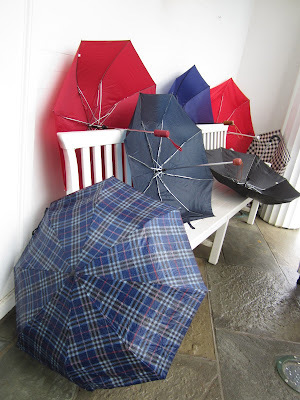 Here's a bouquet of umbrellas outside the Norman Rockwell Museum. I do believe going to the museum is a perfect activity for a rainy day! 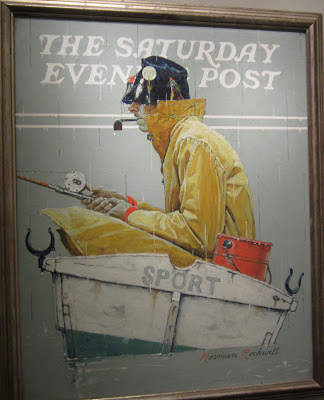 Norman Rockwell's painting of Main Street, Stockbridge. So pretty! Every December, the entire town dresses up and recreates the scene with vintage class cars. I want to come back and see that! 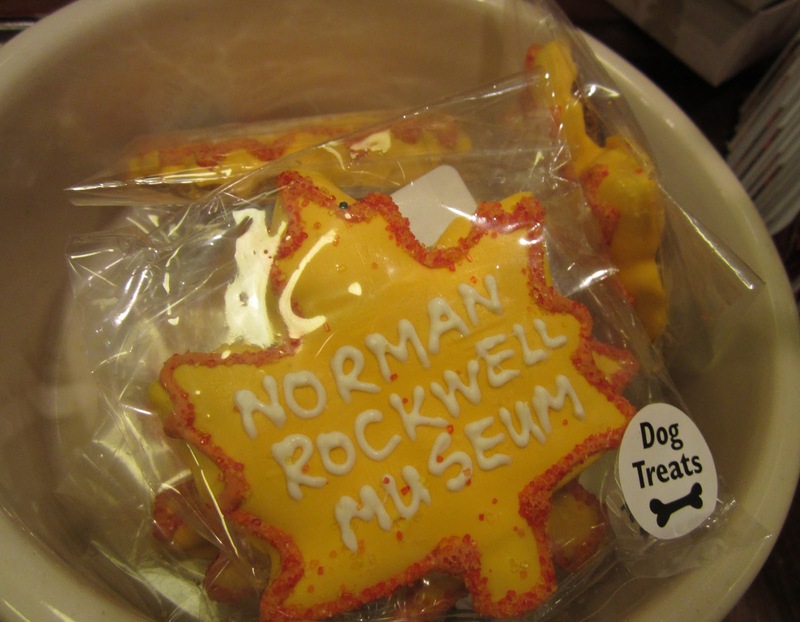 And for your four-footed friends, you can get a little cookie! I saw a gorgeous, very artsy femme d'un certain age wearing these stockings and asked her if I could photograph them. She was delighted. And I was too! And then it was time to go back into the rain. Luckily, the weather had cleared in time for dinner. We went to Alta Restaurant and Wine Bar in Lenox. Highly recommended.